Welcome to the Electronics Recycling Coordination Clearinghouse! View our maps including States with Legislation, Covered Entities, Product Scope, Landfill Ban and Retailer Requirements. Discover information about landfill bans, covered entities, manufacturer registration dates and more. ERCC Members have access to the latest brand and manufacturer data. Access monthly call notes, ERCC presentations, and other information made available to all ERCC Members. 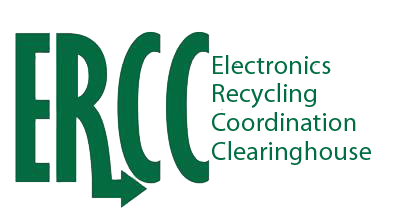 The ERCC is working closely with its members to develop an online tool for tracking tasks related to electronics recycling. Check back soon for a link to our new website, expected to roll out in 2018!